Dr. Belinda Seagram is a Clinical Psychologist in Falmouth, NS. She has founded Landing Strong, a treatment facility opening in Windsor, NS. Learn about her work, this fantastic new facility, and a new comic book she is also rolling out! 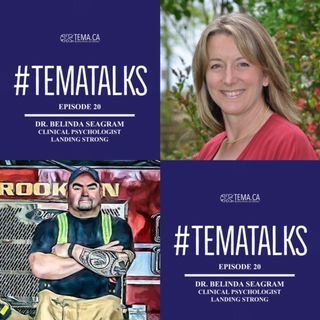 Don't forget to play the TemaTalks Gratitude Game! Stream the podcast exclusively on The Mental Health News Radio Network, or download wherever you get your podcasts. Subscribe, Listen, and Share!